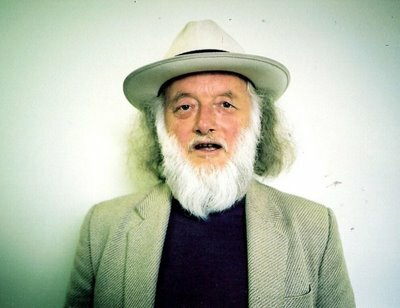 Denys Trussell is a widely published poet, essayist, biographer and scholar. A number of artists in other mediums have built work around his writing. He is a classical pianist and renowned teacher of that instrument. He is a founding director of Friends of the Earth and has written extensively on the connections between art and the environment. Born in Christchurch in 1946, Denys Trussell trained as a classical pianist with his father, William Trussell. He still teaches and performs the piano repertoire. Writing – including writing about music – has been equally a focus for him. In 1971 he graduated from Auckland University, and in 2003 gained a doctorate there, in literature. His biography of the poet, A R D Fairburn, won the PEN Best First Book of Prose Award in 1985. In 1999 his fifth book of poems, Walking into the Millennium, was short-listed in the Montana New Zealand Book Awards. He has also written a biography of the New Zealand expressionist painter, Alan Pearson (1991) and a set of essays, The Expressive Forest: Essays on the Arts and Ecology in Oceania (2008). Artists in other mediums have often used poems by him. The painter Nigel Brown, photographer Glen Heenan, film-maker and guitarist Darcy Lange, dancer/choreographer Alsion East, composers Peter Scholes, Eve de Castro Robinson, Ivan Zagni, Roderick Biss and Dorothy Ker, the sculptor Jenny King, and typographical artist Tara McLeod have all developed work around his texts. An environmentalist and founding director of Friends of the Earth in New Zealand, he is still involved in such work. The nexus of art and the environment is an abiding interest. In 1989 and 1990 he published a two-part essay in the Ecologist (UK) called “The Arts and Planetary Survival”. In 2006 a further development of this essay was published in Temenos Review, London. In 2010 he published in: L’Ecologist, Paris, “Quelle est la nature de la Musique”, an essay on the connection of music to the natural world. Poems by him are in Sustaining the Earth: An international anthology of Green Poems in English. I&F Verlag, Kiel, 1996. The Association for New Literatures in English used, at their 2000 symposium in Aachen, Germany, his long poem Archipelago, The Ocean Soliloquies as a keynote text for their discussion of literature and the environment. Copies of Denys Trussell’s 2013 anthology Blue Marvel (Brick Row) will be available for purchase. Maria Elena is a well-known flamenco player and teacher in Auckland, also a dancer/singer fluent in Spanish. She runs a group called Flamenco NZ. She, and her late partner, D’Arcy Lange, have performed with the Guest Poet, Denys Trussell, since the late 1980’s. These performances have included poetry, flamenco ensemble and larger stage productions.